When Project Runway kicked off in 2004, it premiered in the summer so that the three finalists showed up just in time for New York Fashion Week in early September. But when the reality series changed channels from Bravo to Lifetime in 2008, the premiere was delayed, so fashion week and the number of finalists didn't jibe. 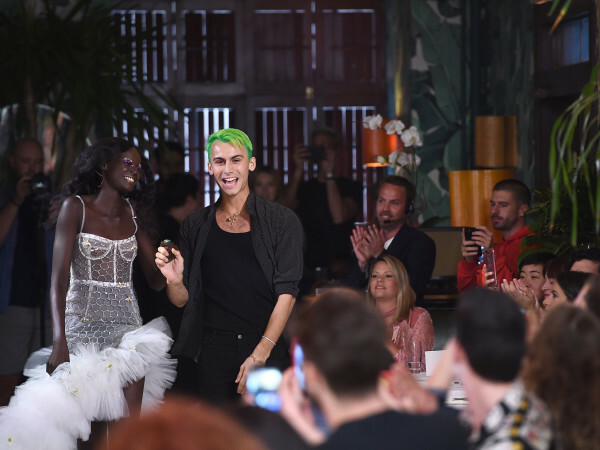 For several seasons, producers threw in a few other contests as a red herring so the winner wouldn't be disclosed during fashion week and edited in the finalists later. 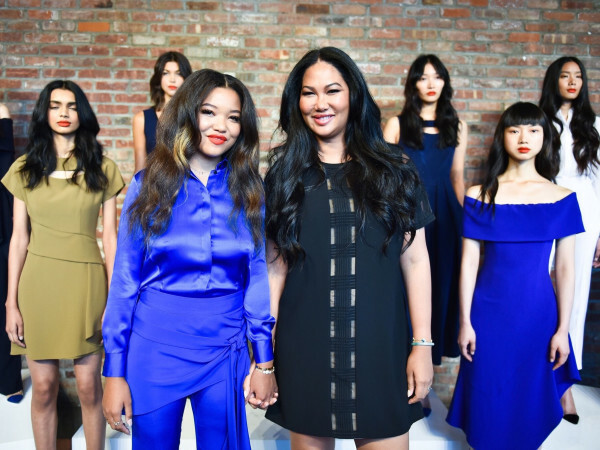 This time the winner was revealed — sort of — even before the reality series, which remains a guilty pleasure for many of the fashion faithful, kicks off its 15th season Thursday night (September 15). The Project Runway season finale was taped last week on the first day of fashion week and a few hints about the winner were divulged. All 16 contestants in this season's edition strolled the runway (none are from Texas, although there are two from neighboring Louisiana — Brik Allen from Baton Rouge and Tasha Henderson from Shreveport) and then host Heidi Klum, in sparkly mini-dress and gold thigh-high boots, noted that the finalists were given $9,000 each and asked to create a 10-piece collection. Six collections were shown without the designer (he or she will be CGI-ed in later during the runway walk), and they ranged from leather rocker chic to casual denim styles. One designer excelled in creating distinctive watercolor prints while others stuck to a more minimal style, using pink cellophane fabric or cut-outs of question marks and X's in contrasting shades. On hand were judges Nina Garcia and Zac Posen, along with Zendaya, who will guest judge the season finale. Mentor Tim Gunn came out at the end for a brief appearance to wild applause. Seen in the audience were Houston interior designer Lucinda Loya and her two daughters, as well as last season's winner, Ashley Nell Tipton, who became the first plus-size designer to take top Project Runway honors. Tipton said she is thrilled that her first capsule collection for plus size women was recently launched with JCPenney and she will serve as the retailer's brand ambassador for plus-size women. "Our sizes range from size 14-30, so it's going to be available in 500 stores," she said. While Project Runway isn't nearly as popular as it once was, it still has life-changing possibilities and Tipton is proof. "It has been an amazing experience for me to be able to put myself out there as a designer and to also let our voices be heard in the plus-size community," she said. "It gave me that platform where I was able to voice my opinions and what we need in this world for plus size women, because we should be equal with everyone."